We understand the difficulty in purchasing a special diamond. Buying a diamond may seem complicated and confusing if you do not have an understanding of the basics. Spend a few minutes reading below to learn the diamond process. Choosing the right diamond will be easy for you. REMEMBER there are wide variances in the qualities of cut, diamonds having identical size, color and clarity can look markedly different! The value of your diamond is in its color. Color in diamonds range from colorless to light yellow. Color is broken down into grades D through Z. Each letter represents a slightly different shade (tinge) of color, from D which is colorless, to Z which is light yellow. D, E, F Describe diamonds which are COLORLESS (No Body Color). These are best described as VERY WHITE and CLEAR in appearance. G, H, I, J appear white and differ only slightly in hue. g color is the whitest, h the next whitest, i the next, and j the least white of the four. Colors K, L, and M describe diamonds having a light yellow body color. The color K has a very faint yellow tinge, while the colors L and M have slightly darker tinges. COLOR IS THE KING AND QUEEN IN DIAMONDS !! The skill with which the diamond is cut has a great influence on the beauty of the finished stone. It is during the CUTTING PROCESS that THREE MAJOR CHARACTERISTICS of the diamond are brought out. These are: SCINTILLATION, FIRE, AND BRILLIANCE. 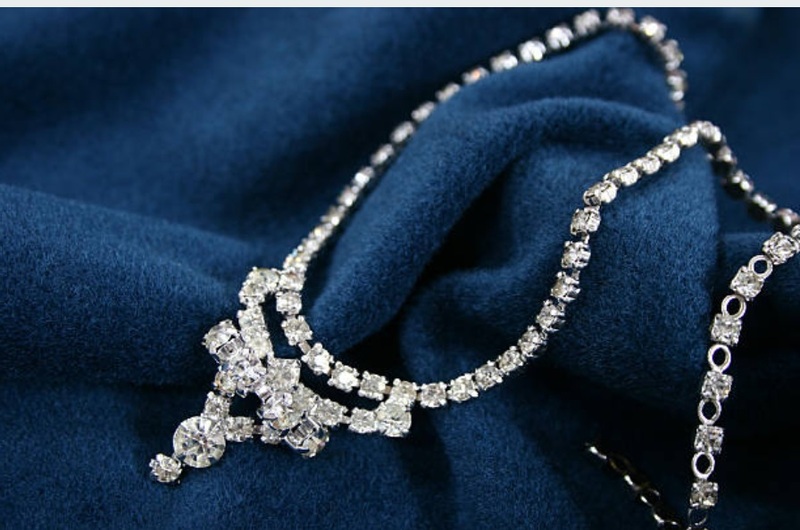 SCINTILLATION Refers to the SPARKLES or FLASHES one sees coming from the various facets of a diamond. FIRE Refers to the different SPECTRAL COLORS seen in a diamond. Colors BRILLIANCE Refers to the SHINE or BRIGHTNESS of a diamond. Does your diamond have any imperfections? The CLARITY GRADE relates directly to the presence or absence of “FLAWS” in your diamond. Forget your ” Naked Eye”, the industry standard #10 Power Magnification Loupe is recommended. VVS2 VERY/VERY SLIGHTLY Flaws in both grades are very difficult to locate. VS1 VERY SLIGHTLY The flaws in these grades range from very small (VS1) to small (VS2). VS2 VERY SLIGHTLY IMPERFECT Flaws in both grades can be difficult to locate. SI1 SLIGHTLY IMPERFECT Flaws in the SI1 grade are somewhat small. Flaws in all (SI) grades are much easier to locate than flaws in (VVS) or (VS) grades, but are still not large enough to be seen without magnification. SI2 IMPERFECT Flaws in the SI2 grade are larger. SI3 IMPERFECT Flaws in all (SI) grades are much easier to locate than flaws in (VVS) or (VS) grades, but are still not large enough to be seen without magnification. I1 IMPERFECT Flaws in the imperfect categories range from large (I1) to very large (I2 and I3). Flaws in these categories are very easy to see under #10 power magnification, and can also be seen with the naked eye! I2 MORE IMPERFECT Flaws in the imperfect categories range from large (I1) to very large (I2 and I3). I3 EVEN MORE IMPERFECT Flaws in the imperfect categories range from large (I1) to very large (I2 and I3). A full CARAT diamond has “100 points” and equal to 1/5th of a gram. Generally speaking, the larger the stone, the more expensive it is. See the chart below for actual size in mm based on carat size. Because of different monitor sizes, the chart may not be to scale.